The purpose of dentalANTIOXIDANTS.com is to provide background information and current research regarding antioxidants on oral tissues. Specific areas of interest on the site include the relationships between oral and systemic health, between infection and chronic inflammatory disease, and between cardiovascular disease and inflammation, as well as the specific connection between periodontal disease and cardiovascular disease. The site will also feature research in biochemistry regarding the sources and uses of antioxidants, their reactivity with other organic compounds, and their effects on organic systems including oral cells. The objective of the site is to identify and evaluate as much of the emerging research as possible and make it available on this site. Scientists and scholars at Baylor College of Dentistry are involved in the massive project of reviewing all the possibly-relevant research. In addition, distinguished practitioners and researchers in various disciplines of dentistry, medicine, and biochemistry will be invited to participate as members of the Professional Review Board, reviewing research studies as well as contributing their own opinions and evaluations. Because of the breadth and depth of information on the emerging science of antioxidants in dentistry and systemic health, dentalANTIOXIDANTS.com presents a uniquely valuable source for professional education. Work is under way to develop academic courses that will offer continuing education (CE) units accepted by dental hygiene and dental technician accreditation institutions. The courses, which will be deliverable in both online format as well as live lecture series, promise to be user-friendly, stimulating and practical. Dr. Svoboda has a broad background in developmental and cell biology, with specific training and expertise in signal transduction. As the principle investigator on several previous university and PerioSciences funded grants, she designed experiments to determine effective antioxidant combinations that counteract the effects of oral stressors (nicotine, ethanol, H2O2, dental materials) in a variety of cell based and animal assays. Her research has been supported by NIH, NSF, March of Dimes, PerioSciences and the Baylor Oral Health Foundation. Edward Allen, DDS, PhD received his DDS from Baylor College of Dentistry in 1969. He completed a Residency in Periodontics and earned a PhD in Physiology from Baylor University Graduate School. Dr. Allen is Adjunct Professor in the Department of Periodontics at Baylor College of Dentistry and is in full-time private practice in Dallas, Texas. He currently serves as the Periodontal Section Editor for the Journal of Esthetic Dentistry and serves on the Editorial Boards of the Journal of Periodontology and the International Journal of Periodontics and Restorative Dentistry. Dr. Bowers has an extensive background in peripheral vascular disease with clinical interests in: coronary intervention and coronary vascular disease, transcatheter aortic valve replacement, PFO closure, ASD closure, endovascular repair of AAA, carotid artery angioplasty and stenting, brachiocephalic, renal, iliac, remoral, and infrapopliteal intervention. He also has accredited noninvasive credentials in Echocardiography and Nuclear Cardiology. Dr. Bowers received his Bachelor of Arts degree with a major in Neuroscience from Wesleyan University in 1993 and was awarded a Medical Doctorate degree in 1998 from Saint George’s University School of Medicine, Grenada, West Indies. His clinical clerkships were completed at New York Presbyterian Hospital and Robert Wood Johnson University School of Medicine Hospital Affiliates in New York, New York and Short Hills, New Jersey. He finished his Internal Medicine internship and residency training program in 2001 at the Medical College of Pennsylvania – Hahnemann University Hospital, Department of Internal Medicine. In 2004, he completed his Cardiovascular Medicine fellowship training program at the Medical College of Pennsylvania – Hahnemann University Hospital, Department of Cardiovascular Medicine. Dr. Bowers went on to complete a peripheral and coronary interventional training program in 2005 at Medical College of Pennsylvania – Hahnemann University Hospital, Department of Interventional Cardiology. Karen Davis, RDH, BSDH received her Bachelor of Science in Dental Hygiene from Midwestern State University. She is founder of Cutting Edge Concepts® an International continuing education company. Karen has over 30 years experience in clinical in dental hygiene, and currently merges lecturing with private practice. 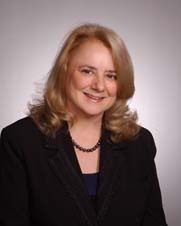 Karen is also a trainer with The JP Institute, and has served on numerous advisory boards in the profession. She has been recognized as one of the ‘Leaders in Continuing Education’ in Dentistry Today for several years. She holds a Bachelor of Science degree in Dental Hygiene from West Virginia University and Masters of Business Administration from Loyola. Casey has over 30 years of experience as a dental hygienist in private practice, education, public health, and consulting. With over 100 published articles and international lectures, she is best recognized for her work in clinical integration of well supported evidence of periodontal-systemic relationships in dentistry, medicine, and allied healthcare. She serves on the advisory boards of several companies and as an independent consultant to the dental industry. Casey founded the first journal on this subject, Grand Rounds in Oral-Systemic Medicine and was the principal originator of “The Scottsdale Project” and lead author on The Report of the Independent Panel of Experts of the Scottsdale Project. This was the first time that expert academicians and researchers from medicine and dentistry were brought together to determine whether there is sufficient evidence of a relationship between periodontal disease and diabetes and cardiovascular disease to recommend that guidelines be developed for the medical-dental co-management of these interrelated diseases. Harald O. Heymann, DDS, MEd graduated from the University of North Carolina School of Dentistry. He is the past Chairman and Graduate Program Director of the Department of Operative Dentistry and currently is Professor of Operative Dentistry at the UNC School of Dentistry. He is a member of Academy of Operative Dentistry, the International Association of Dental Research, and is Past-President and a Fellow of the American Academy of Esthetic Dentistry. He is also a Fellow in the International College of Dentists, the American College of Dentists, and the Academy of Dental Materials. He also serves as a consultant to the ADA. Samuel B. Low, DDS, MS, MEd, Professor Emeritus, University of Florida, College of Dentistry; Associate faculty member of the Pankey with 30 years of private practice experience in periodontics and implant placement. He is also a Diplomate of the American Board of Periodontology and President of the American Academy of Periodontology. Dr. Low provides dentists and dental hygienists with the tools for successfully managing the periodontal patient in general and periodontal practices and is affiliated with the Florida Probe Corporation. He was selected “Dentist of the Year” by the Florida Dental Association, Distinguished Alumnus by the University of Texas Dental School, and the Gordon Christensen Lecturer Recognition Award. He is a Past President of the Florida Dental Association and presently 17th district ADA Trustee.